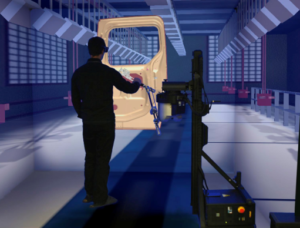 Force-feedback is used for simulating the operation necessary to manufacture the vehicles, long before the first prototypes are built. Car companies can reduce the technical risks, improve the assembly processes, and in the end save time and money. Force-feedback is finding increasing use for training students on virtual patients. Our technology is also well suited as comanipulative robots, to help surgeons perform surgeries or tele-surgeries. Prof. E. Vander Poorten, from Robot Assisted Surgery (RAS) group of KU LEUVEN, uses Virtuose 6D linked to a VR environment to prototype new medical instruments, test haptic guidance schemes for comanipulated surgery and train surgeons, all within UCL-led GIFTSurg project. In the nuclear industry, force-feedback is used to control robots remotely, so that operators are not exposed to radiations. 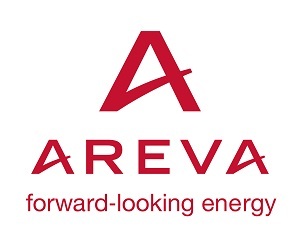 AREVA uses robotic technologies in the nuclear fuel management plants. They chose Virtuose 6D TAO for operations like in-service maintenance, clean-up and dismantling of facilities, used in their daily operations. The aircraft industry also uses force-feedback for validating maintenance operations on future planes, in order to validate and optimize them. Because maintenance is a major factor of the operating costs of commercial planes, force-feedback contributes to the companies competitiveness. Force-feedback is also an essential tool for scientific research. Research areas such as psychophysics, sports and health, ergonomics, human-machine interaction, virtual reality, micro and nanotechnologies, need ways to transfer forces and movements between humans and machines.